Wayne Lebsack, 92, of Lyons passed away on April 30th 2018, at home, surrounded by the love of his family. Wayne was born on July 26th, 1925 in Great Bend, KS the son of Carl and Bertha Lebsack. He graduated from Hays High School in 1943 and was drafted into the Army later that year. Wayne volunteered for the Airborne Infantry, and fought with the 82d Airborne Division until he was severely wounded during the Battle of the Bulge in December of 1944. After seven months of hospitalization, Wayne was discharged from the Army and enrolled in the Colorado School of Mines in Golden, CO where he received a Bachelor of Science degree in Petroleum Engineering. During college, Wayne met Patricia Beeley of Denver, CO. They married on October 12, 1951 and made their home in Lyons. Wayne and his father co-founded Lebsack Oil Production Inc, in the 1950s and Wayne worked as an independent petroleum geologist until his death. In addition to his work as an independent oil and natural gas producer, Wayne researched and published numerous articles on Kansas geology in scientific and technical journals. He was especially interested in natural springs and worked with his friends at the Kansas Geological Survey to map the natural springs of Kansas. Wayne was pivotal in establishing the Kansas Chapter of the Nature Conservancy and remained an active and passionate land and water conservationist throughout his life. He is preceded in death by his parents, his sisters Evaleen and Marjorie, and his son Mark. Wayne is survived by his wife Pat, his daughter Careth Wilson of Denver, CO, and his daughter Amy Dillon and her husband Colonel Brian Dillon of Des Moines, IA. 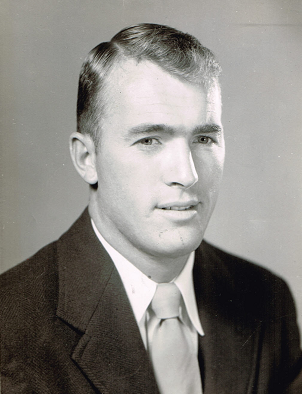 Wayne was a loving grandparent to Jordan Radis of Denver, Katherine Dillon of Lawrence, KS, John Dillon of Kansas City, MO, and Anne Dillon of Salina, KS. Burial services will be at Lyons Municipal Cemetery on Saturday, May 5th at 11:00 a.m. A memorial service will also be held Saturday at First Presbyterian Church at 2:00 p.m. Visitation is Friday May 4th at Birzer Funeral Home in Lyons, from 2:00 p.m. until 7:00 p.m. with family present from 5:00 until 7:00 p.m. Memorials can be made to the First Presbyterian Church of Lyons, and to the Rice County Friends of Animals.